Scripture service Friday, July 14, 2017 at 7:00 pm. Cremation to take place. Burial of cremated remains to take place on Thursday, July 20, 2017 at 2:00 pm at Saint Joseph's Cemetery in West Branch, Michigan. Norma Jean (Jeanie) Burns Rice, passed away on Wednesday, May 10, 2017 at The Villa at Rose City. Jeanie was born on May 29, 1938 in Detroit, MI to Mildred and Floyd Burns, but was raised in West Branch, MI by her loving grandparents, John and Mary Grubb. 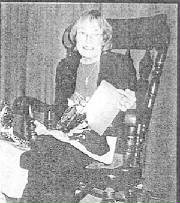 She attended the Pleasant Hill one-room school and graduated first in her class from West Branch High School in 1956. Jeanie worked many years in the law enforcement field as an executive secretary and court reporter. She married David Rice in 1961 in West Branch and was blessed with three wonderful children, Brad Rice of California, Dr. Kerry Rice of Idaho, and Todd (Kim) Rice of Texas; five grandchildren, Jessica, Kristy, Colin, Samantha, and Sydney; great grandchildren, Emmalyn May and Josephine Joy; and one brother, Donald (Lita) Burns of California. Per her request, no funeral service will be held. Burial will be in the Rose City Cemetery. In lieu of flowers, memorial donations may be made to the family for the West Branch High School Alumni Association Scholarship Fund. Mona Mae (Barnum) Wenzel, 79, of Lakewood Ranch, Fla., passed away April 8, 2017. Mona was born Dec. 14, 1937, in Prescott. 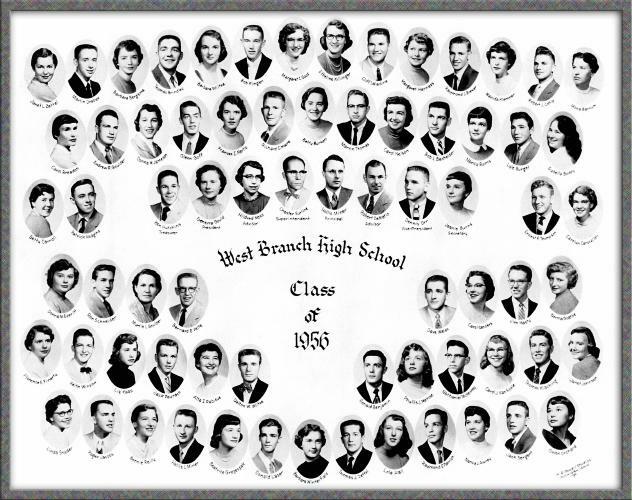 She graduated from West Branch High School in 1956. Later she received an accounting degree from Cleary College. Mona was married to Anthony A. Wenzel on Aug. 1, 1959. They were married for 25 years. 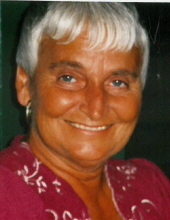 Mona served as Green Oak Township clerk for 10 years. She went on to work in accounting until she retired in 2000 and moved to Naples, Fla.
During her retirement, Mona volunteered more than 11,000 hours at North Naples Community Hospital, where she was named Volunteer of the Year and received the President’s Call to Service Award. 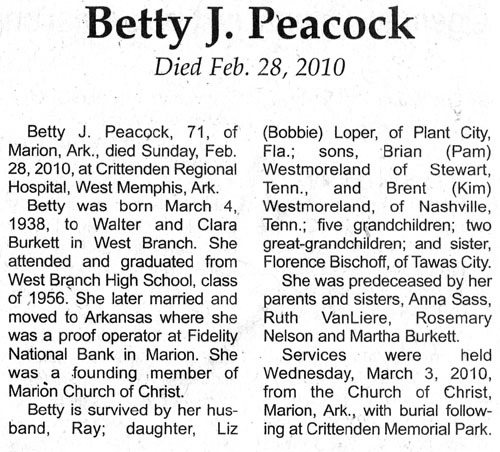 She was a member of the Green Oak Historical Society, Red Hat Society and several other organizations. Mona served as a Girl Scout leader and taught Catholic catechism. She enjoyed crocheting, sewing and decorating cakes. Mona made several Moses beds for newborn babies going home from the hospital without cribs. Mr. and Mrs. Wenzel unselfishly provided a home for Catholic Social Services to place foster children and expecting mothers many times. They loved to camp with their family and friends. Mona is survived by her children, Monica (Michael) Johnson, Brian (Kathe) Wenzel and Martha (John) Kiani; in addition to six grandchildren and two great-grandchildren; several siblings; nieces and nephews; and other family and friends. Mona was preceded in death by her husband, Anthony, in 1984. James William Hasty, 78, passed away Thursday, Feb. 9, 2017, at his home in West Branch. He was born April 28, 1938, to Dr. Earl and Mildred (Albertson) Hasty in West Branch. Jim married Janet Schultz on June 29, 1968, at the First Presbyterian Church in Bay City. He lived in West Branch for most of his adult life, where he was a member of the First United Methodist Church. Jim graduated from West Branch High School in 1956 and went on to Central Michigan University where he received a bachelor’s degree. He was a chemistry teacher in Bay City and West Branch. In 1967, he started his career working in the environmental health field with the District Health Department No. 2, and retired from the health department in 2008. Jim was a past master and life member of the West Branch Masonic Lodge 376. He also served as past president of the West Branch Area Shriners. Jim held a board position with the West Branch Regional Medical Center on the board of trustees for 22 years and was a member of the West Branch City Council and Creative Arts Association. He volunteered at the local food bank and at the West Branch Library Book Nook. Jim’s hobbies included hunting, fishing, golfing, sculpting and wood carving. He was a jack of all trades. His two grandsons, James and Jacob, were his pride and joy. He was a loving husband, father and a very loyal friend. He loved telling jokes and stories. Jim was very dedicated to the West Branch community, and was truly a man of integrity and sincerity. Jim is survived by his loving wife of 48 years, Janet Hasty of West Branch; children, Andrew (Anna) Hasty of West Branch and Erin (Matthew) West of Hickory, N.C.; grandsons, James West and Jacob West; sisters, Helen Jennings of West Branch and Marjorie (Richard) Fletcher of Bay City; and many nieces and nephews. He was preceded in death by his parents; and brother-in-law, William Jennings. Visitation at Steuernol & McLaren Funeral Home in West Branch will begin Thursday, Feb. 16, 2017, from 3-8 p.m. with a Masonic service at 6:30 p.m. The funeral service will be Friday, Feb. 17, 2017, at the First United Methodist Church at 11 a.m. with visitation beginning at 10 a.m. Pastor Tim Dibble will officiate. Memorial contributions can be made to the West Branch Masonic Lodge and the Community Food Pantry in West Branch. Donald P. Noel, 76, Oak Hill, owner of Noel’s RV Park, Oak Hill, died Thursday, Nov. 6, 2014, at Southeast Volusia Hospice Care Center, Edgewater. Mr. Noel, a U.S. Air Force veteran, was born in Detroit and moved to West Brach in 1944 and graduated from St. Josephs High School in 1956 and later moved to Oak Hill, Fla., in 1984. He was a former electrician for Megatron Electric, Miami and a member of St. Gerard Mission Church, Edgewater. Survivors include his wife of 57 years, Nancy J.; two sons, Donald P., Jr. of Dallas, Texas and Jim of Ft. Lauderdale, Fla.; one daughter, Katherine Laskowski of Oak Hill; two brothers, Bill of Midland and Charles of Au Gres; one sister, Marion Brewer of Standish; nine grandchildren; and thirteen great-grandchildren. Thomas Jacob (Jake) Zettel passed away on September 13, 2012 at Select Specialty Hospital in Saginaw. Jake married Connie Schliter on June 10, 1961. Jake lived all his life in West Branch except for three years in the U.S. Army, stationed in Germany where he was in communications and played soccer. He was later recalled to active duty and served in the Army reserve. Jake retired from Coca Cola after 36 years, then working for BZ Patch and Pave for 9 years and Mid-Michigan Paving Company for 4 years. Jake was a member of the West Branch Volunteer Fire Dept. for 60 years. He was also a member of the Moose Lodge, the Knights of Columbus and Holy Family Catholic Church. He was an avid sports fan including NASCAR, an Ogemaw Heights Falcon supporter and rarely missed his children or grandchildrens high school or college sports events. He enjoyed playing cards, deer hunting and being with family. His morning routine was a trip to Schmitt’s Tire, Mac’s for breakfast, West Branch Diesel and Rau’s Cedar Land Dairy Farm. He also enjoyed the Reetz spring maple syrup operation. Jake is survived by four children, Thomas R. (Amy) Zettel, Todd J. (Karen) Zettel, Terry A. (Carrie) Zettel, and Janey K. (Mike) Singer. He is also survived by grandchildren, Brandon (Ashley) Zettel and Courtney (Dan) McVeigh, Trevor and Robie Zettel, Kyle, Jenna, Anthony and Easton Zettel, Max and Quinn Singer, step-grandchildren, Michelle and Madaline Munoz. Also, great-grandchildren Khloe Zettel, Braden and Cora Zettel. He is also survived by his brothers Richard Zettel of Winter Haven FL. and William Zettel of West Branch and his sisters, Joan Poling, Janet (Barry) Wilkinson and Joyce Nelander all of West Branch and a special friend, Nancy Kelley of Oklahoma. Jake was preceded in death by his wife of 46 years, Connie, on January 26, 2007 and his infant daughter Kim on December 2, 1972, his mother Margaret Reetz Zettel and father Paul Gabriel Zettel. Also, his sister-in-law Eileen Zettel and brothers-in-law Stacy Poling, John Tobin, Jim Nelander and Terry Schliter. Carol Ann Breadon Piar, Class of 1956, age 72, passed away Saturday, November 6, 2010 at her home. Carol was born to Albert Breadon & Sarah (Breadon) Rosevear on August 9, 1938. Carol has lived in Sand Lake, MI for 3 years previously of Greenville, MI and West Branch, MI. 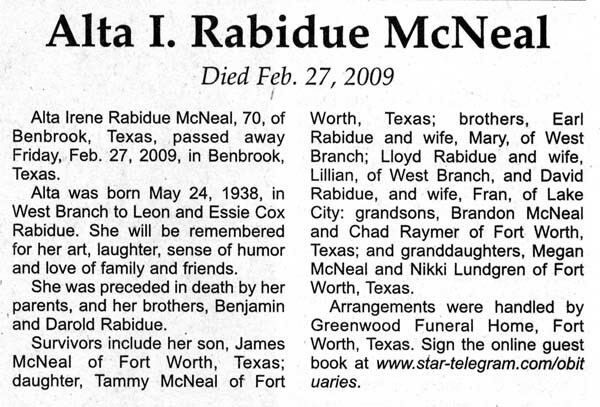 She enjoyed reading, but she mostly enjoyed spending time with her family and loved her children and grandchildren dearly. Carol is survived by her 9 children Wade (Alisa) Piar of Chesterton, IN; Lynne (John) Fielstra of Grand Rapids, MI; Pamela Piar of Sand Lake, MI; Diana (Larry) Frandsen of Sand Lake, MI; Mark (Dawn) Piar of Ravanna, MI; Shannon (Earl) Kingsbury of Davenport, IA; Cindy Piar of Chicago, IL; Vickie Piar of Sand Lake, MI; and Mitchell (Jennifer) Piar of Sparta, MI. There are 15 Grandchildren and 11 Great Grandchildren. 1 sister Mary (Kenny) Bragg of West Branch; 2 Brothers Edward (Irene) Breadon of West Branch, and Donnie (Elizabeth) Breadon of Traverse City, MI. Carol was proceded in death by two sisters, Mona Durfee and Marge Day and by her parents. 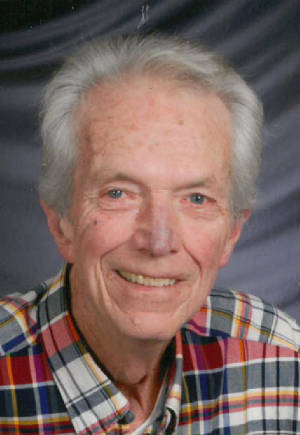 Clifford Saladine, Class of 1956, passed away in Saginaw on November 2, 2011 at the age of 74. He is survived by his wife, Grace (Badour), a daughter Debra Jo, and a 10 month old grandson. 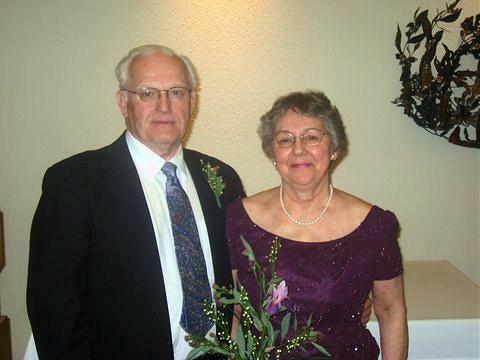 Read an article from the Ogemaw Herald about their journey to wed after 53 years apart...click on this link. Dennis E. Orr, age 72, of 2722 S Hill Rd, Gladstone, died Saturday morning, May 29, 2010 at the Christian Park Health Care Center in Escanaba. He was born on February 19, 1938 in West Branch, MI and was the son of Melvin and Joan (Tolfree) Orr. Dennis was a graduate of West Branch High School. He continued his education at West Virginia Wesleyan and Alma College. On February 18, 1966, Dennis married the former Judith Jensen in Lansing, MI. In 1967 he moved to Marquette and served as district manager for the Stroh’s Brewing Company covering the Upper Peninsula and Northeastern Wisconsin. Dennis relocated to Escanaba in 1981 and acquired distributorship of Brownberry Bread and Archway Cookies. Dennis loved golf, cars, motorcycles, and hunting. He was past commodore of the Escanaba Yacht Club twice, president of the Marquette Sand Stormers, held many different positions with the Press on Regardless Rallies for ten years, and was a co-organizer for the International Frisbee Tournaments. His infant daughter Jai, parents Melvin and Joan, and stepfather L.J. Earl preceded him in death. Visitation will be held from 9:30 – 11:30 a.m. on Thursday, June 3, 2010 at the Anderson Funeral Home in Escanaba.A closing prayer service celebrating the life of Dennis E. Orr will follow at 11:30 a.m. in the Anderson Funeral Home Chapel. On Monday, June 7, 2010, a visitation will take place from 10:00 a.m. – 12:00 noon at the Steuernol McLaren Funeral Home in West Branch, MI.A closing prayer service will follow at 12:00 noon.